Some time ago I posted this about a disallowed showerhead in my house in California. And several years before that, here is the story about Sorpresa Huevos, also too dangerous to ship to us. 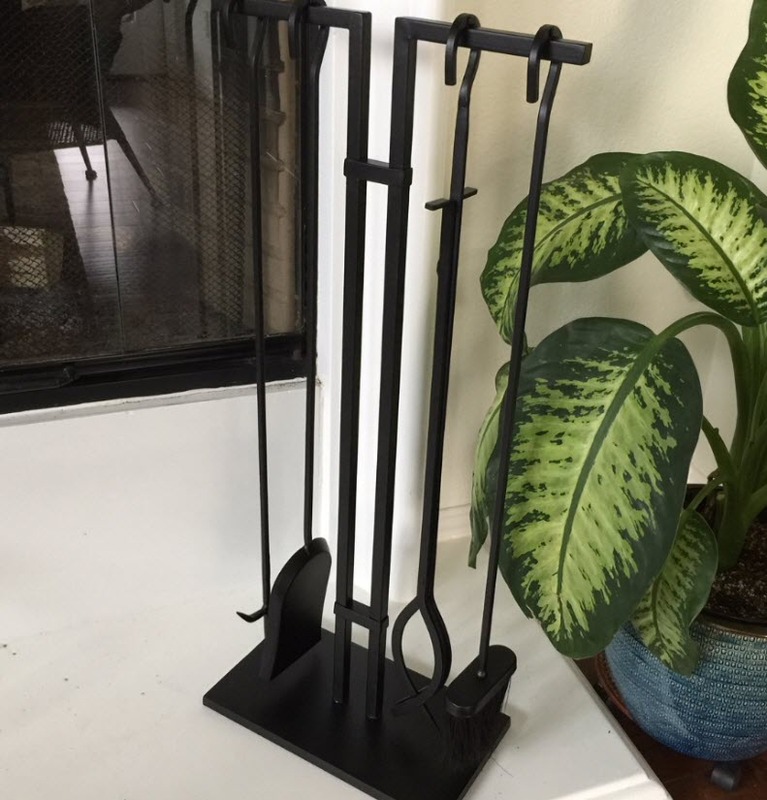 We wanted to get a nice set of fireplace tools for our fireplaces. I went to the local Home Depot and couldn’t find anything. They told me I had to buy them online. Amazon had a nice selection, and when I tried to order, it didn’t allow me to ship it to California. Neither my work nor my home address worked. I figured out that there must be some kind of regulation against fireplace paraphernalia in California. I can only assume that the state wants to discourage the use of fireplaces (and burning of wood), so they figured they’d make it hard or impossible to buy fireplace tools. I tried to google for answers, but could not find anything. I ended up having the set shipped to our office in Ohio, and then I picked it up on my next trip there and checked it as luggage. If only I had asked to have AR-15s shipped to me, I am sure that my constitutional rights for firearms would have ensured delivery. But “fire” arms is a different thing than a dangerous and insidious set of “fire” place tools. Now there is contraband in my house. When they come to get them, be sure to demand a warrant! You do live a deprived existence. I’m in Australia. We can get Kinder Surprises, the same showerheads and all kinds of fireplace tools.